Abby (played by DeWitt) is a massage therapist who can no longer work when she develops an aversion to touching. This puts her relationship in jeopardy, not to mention her own mental health. Abby’s conservative and uptight brother, Paul, runs a very quiet dental practice with his daughter Jenny (Ellen Page). When Paul discovers he has a healing touch, his business and his confidence grows – but it is only short-lived, and does nothing to help his relationship with Jenny. There are mixed reviews on this film – some can’t work out where it’s going or how it hangs together, others enjoy its thoughtfulness. 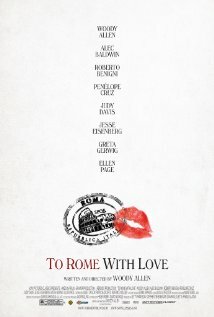 I tend to like films that are a little ‘offbeat’ but still offer some of the pleasures of a conventional rom com. Touchy Feely falls into this space. It moves quietly and carefully amongst its characters, exploring their personalities, trying not to give them simple resolution, but also not getting bogged down in the dark side. The acting in this film is superb, especially from DeWitt. It’s definitely worth watching – don’t expect a blockbuster, that’s not what it’s trying to achieve, but do expect something a little more grassroots.